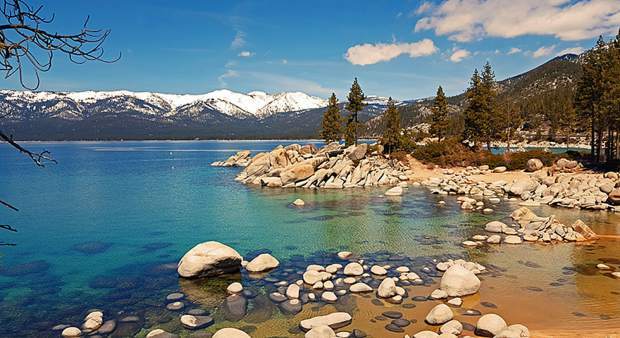 TAHOE/TRUCKEE, Calif. — Content for briefs is selected from e-mail submissions to Community Editor Amy Edgett at aedgett@sierrasun.com. The Tahoe City Wine Walk attracts hundreds of residents and visitors to downtown Tahoe City. Sponsoring the event affords many opportunities to increase exposure to your business. Your support will benefit not only the community through increased marketing and tourism during the shoulder season, but also the Tahoe City Downtown Association whose goal is to enhance and promote a vibrant and prosperous commercial and social center for residents and visitors alike. Email info@tahoecitywinewalk.com for more information about sponsorship opportunities. For more information about the 9th annual Tahoe City Wine Walk visit tahoecitywinewalk.com. The Silicon Mountain Group is pleased to welcome Nate Pearson of TrainerRoad.com to present: “TrainerRoad: From Bootstrap to Business.” Pearson, co-founder of TrainerRoad.com, will describe what it was like to launch a business with a $10k investment while working a full time job. TrainerRoad develops software to make cyclists and triathletes faster. Over 900,000 workouts in over 30 countries have been completed on their platform and in just over 2.5 years, they have grown their Reno-based workforce to 11 employees, visit TrainerRoad.com. The meeting will be on Monday, May 12, 6-8 p.m. at The Lift, 12242 Business Park Drive, Truckee. A $5 fee includes pizza. This month’s event is sponsored by New Leaders. Find Silicon Mountain on LinkedIn and Facebook and TahoeSiliconMountain.com. Sign up for email meeting announcements at http://bit.ly/14XGofL. 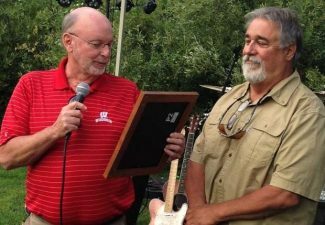 North Tahoe Business Association (NTBA) compiled and distributed a Tips for Success during Construction Guide to its members. The Guide, funded by the Placer County Economic Development Department and local Transient Occupancy Tax, is intended to help Kings Beach businesses during Kings Beach Commercial Core Improvement Project (KBCCIP) construction. Construction is scheduled to last two seasons. The Guide includes pro-active, easy and affordable strategies, techniques and ideas to make short-term adjustments during construction. The Guide is a free resource available to view and download at http://www.NorthTahoeBusiness.org. NTBA is also developing a KBCCIP Open for Business Marketing Campaign scheduled to run late May through September. The campaign is designed to encourage residents and visitors to patronize Kings Beach businesses despite construction and will include a contest with a chance to win weekly prize packages, including a $500 cash grand prize. 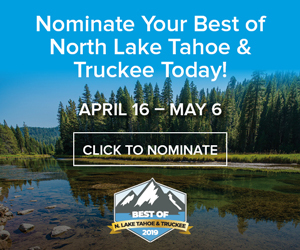 For a list of NTBA members, to learn more about North Tahoe Business Association, to become an NTBA member or to volunteer, visit http://www.NorthTahoeBusiness.org, call 530-546-9000 or email info@NorthTahoeBusiness.org. InnerRhythms Dancewear Boutique is now open to the community Monday-Friday from 1:30-6 p.m. Shoppers will find basic dance attire, shoes, accessories and gift items such as Dirty Little Secret Soap Company’s aromatic handmade soaps and candles plus Dancing Dog Tees and bags. The Boutique is located inside InnerRhythms Dance Centre at 12047 Donner Pass Road in West Truckee.